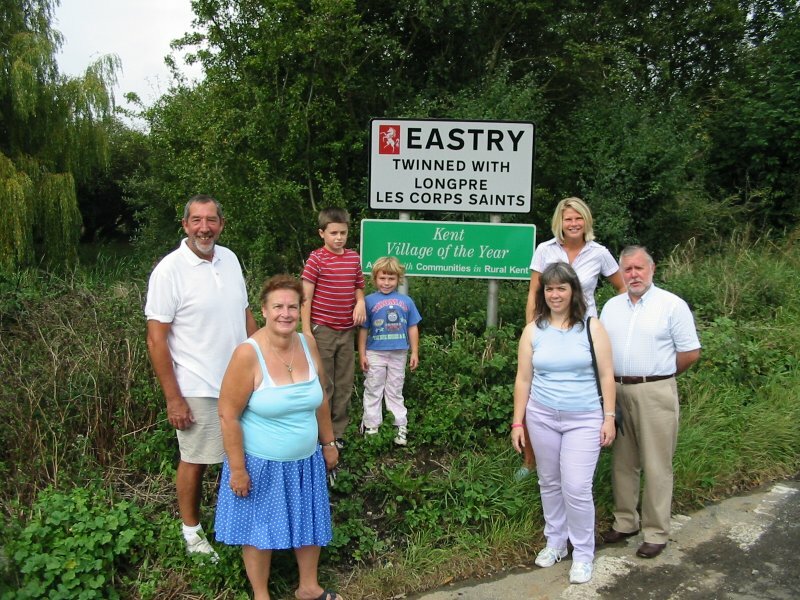 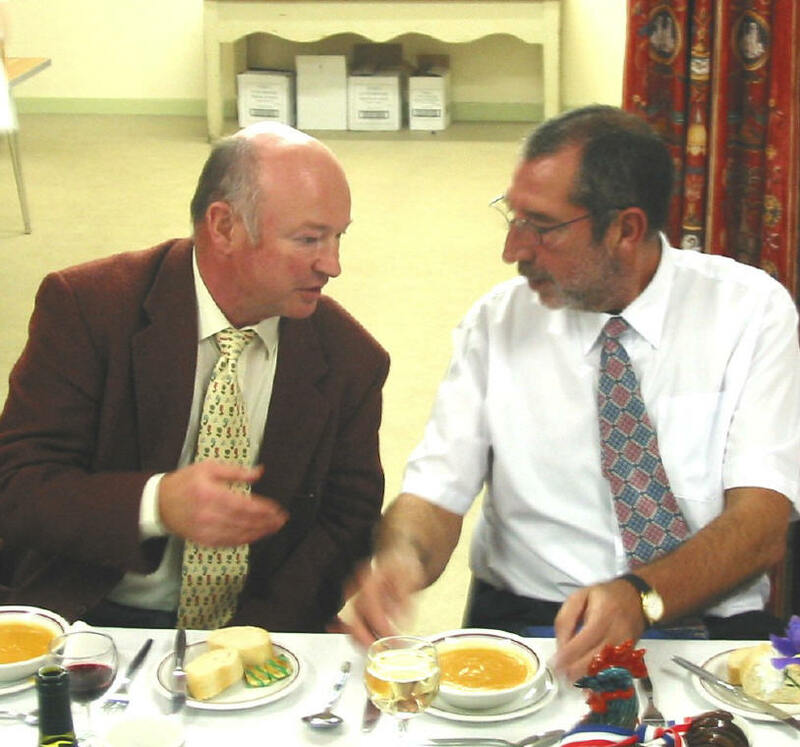 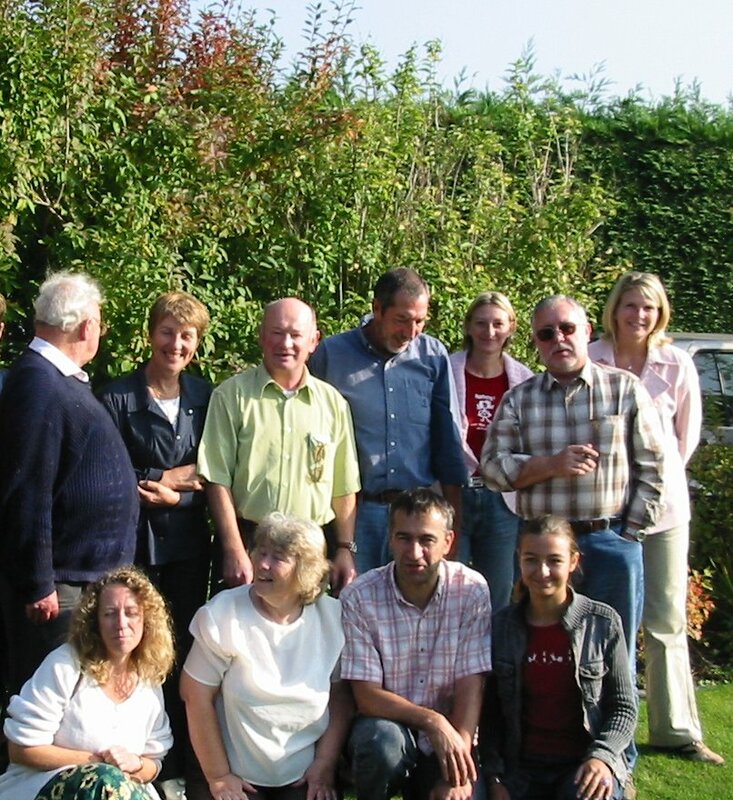 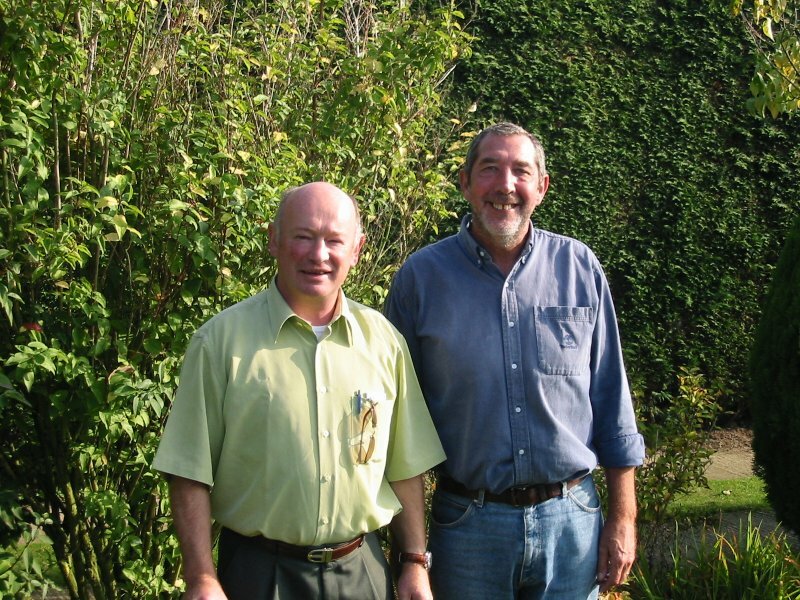 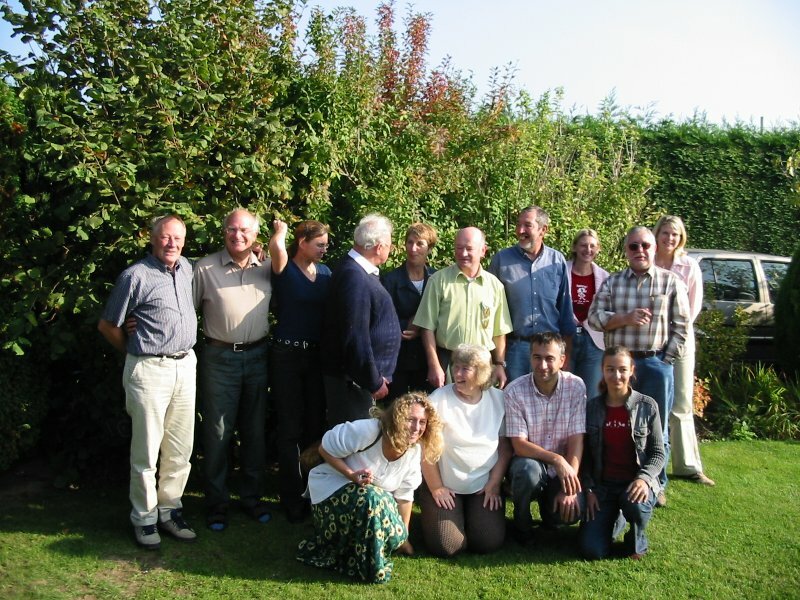 The visit of a small group from Longpré for the anniversary dinner at Eastry celebrating 25 years of the twinning 15/10/2005. 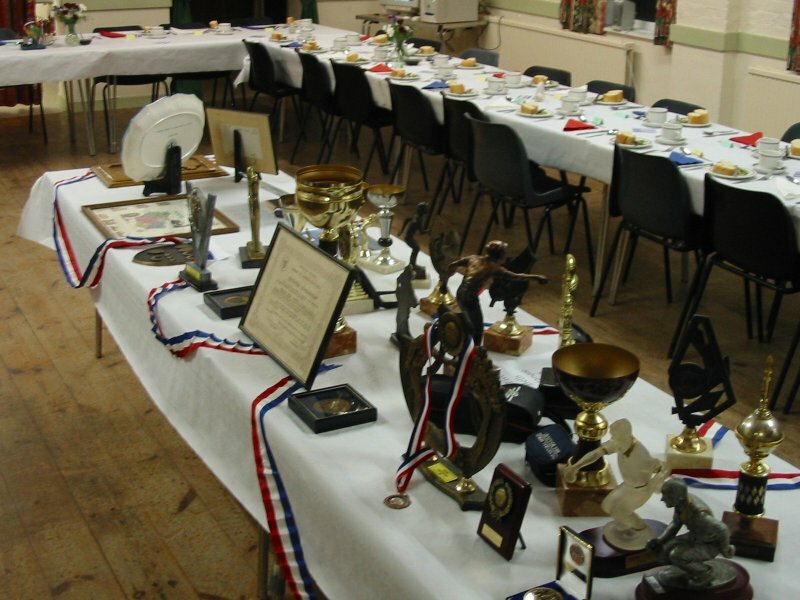 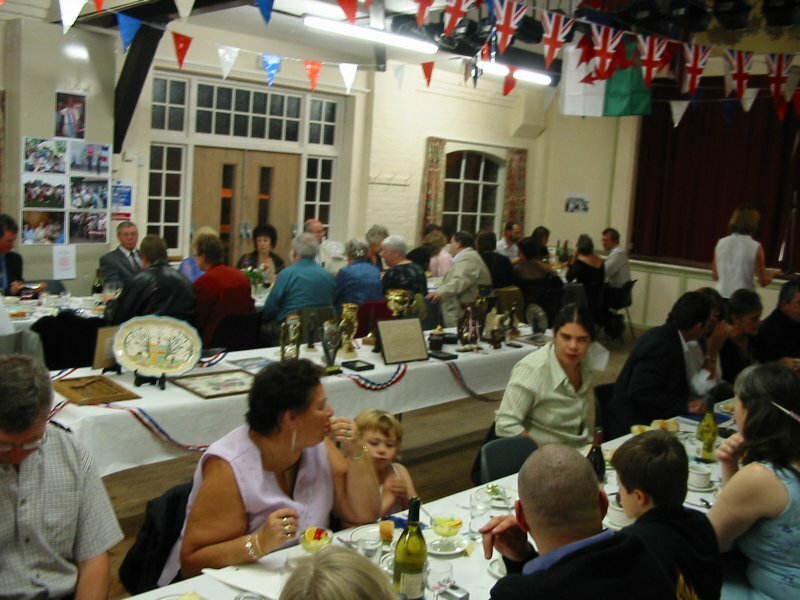 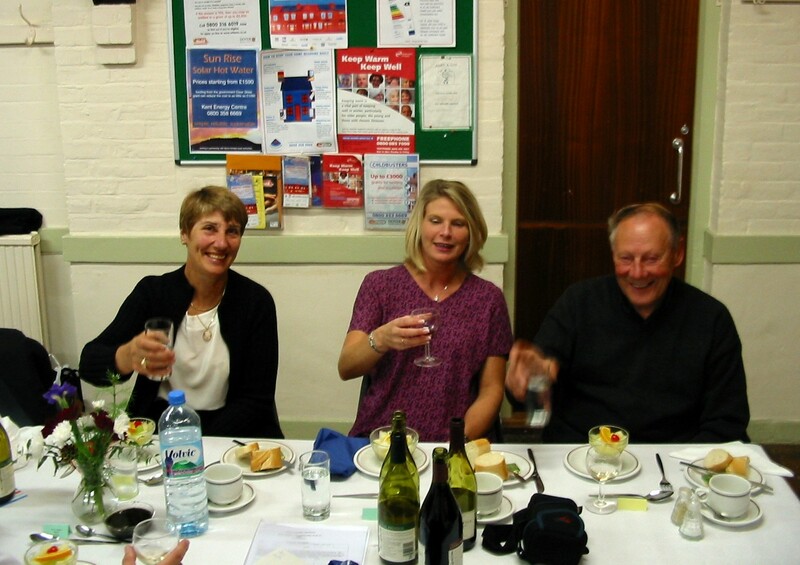 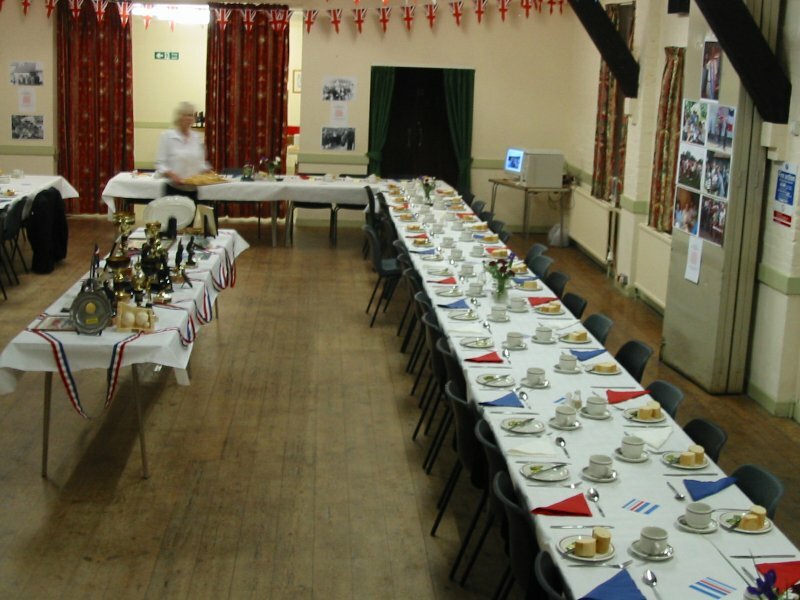 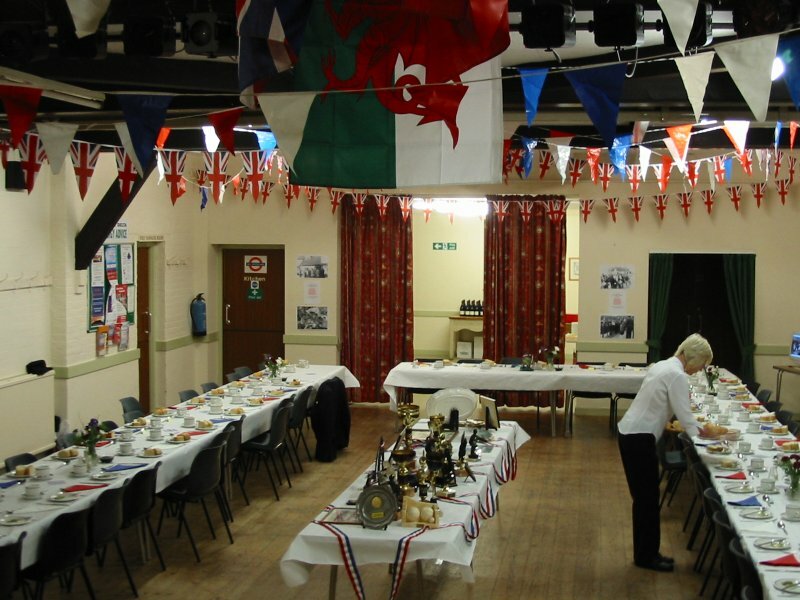 Diners enjoy their meal in the village hall. 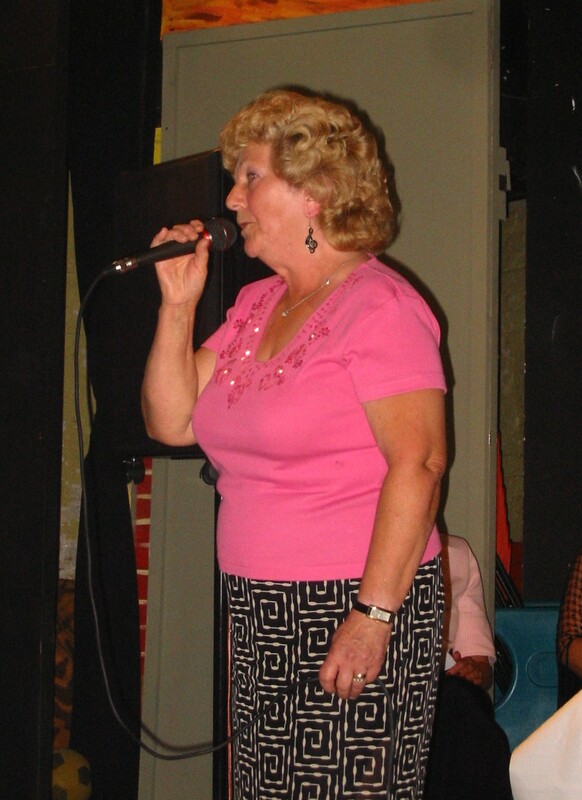 Sylvia sings for the reception.